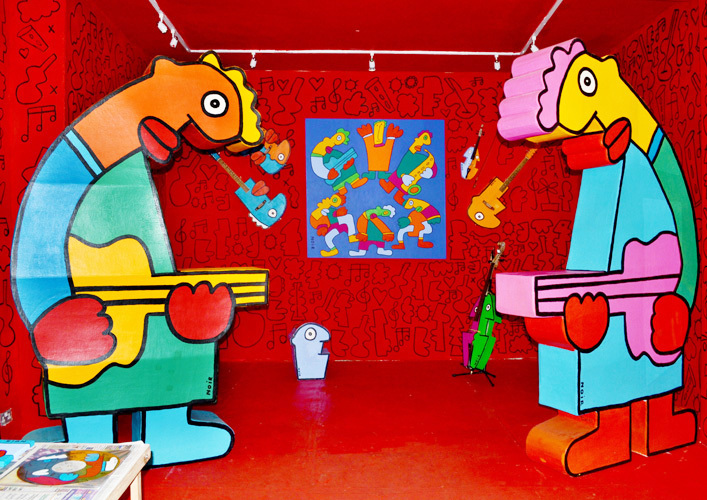 Walking into Howard Griffin Gallery on Shoreditch High Street and Thierry Noir’s exhibition “Jazz” is an instantly uplifting experience. 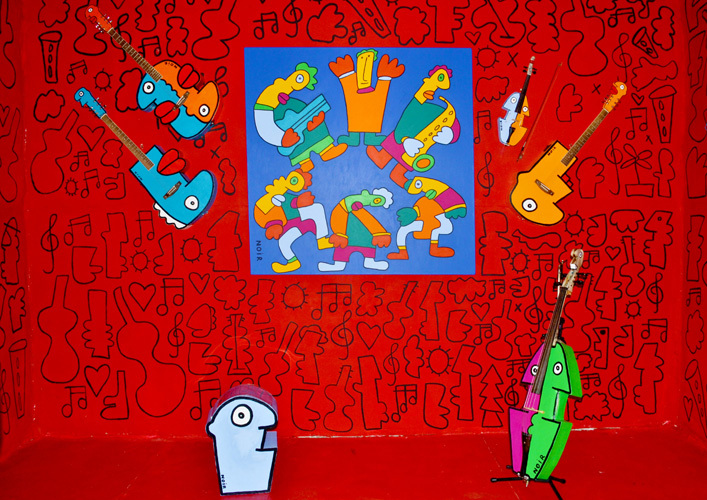 Thierry’s typically exuberant colourful paintings – this time inspired by the music scene in Berlin in the 1980s –plus over-sized sculptures and painted instruments (in collaboration with Chris Tsonias) transform the space into a riot of colour with plenty to see and to discover. 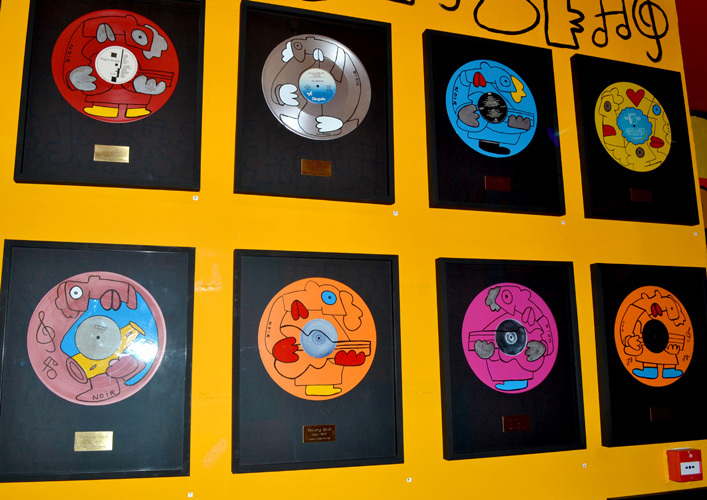 Like the framed original 80s records or the cognac bottles on the shelves which Thierry has customised with his trademark designs. 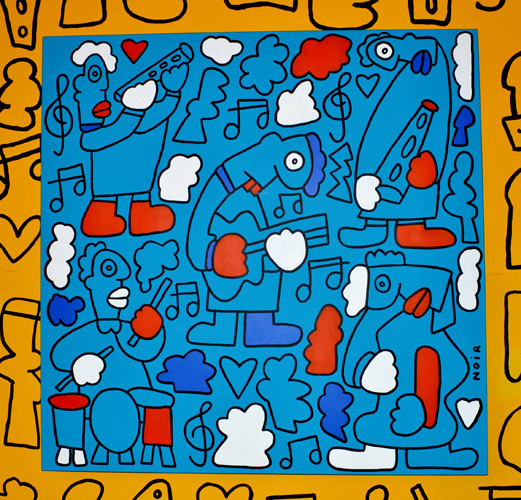 There is still time to go and see Thierry’s latest exhibition which runs until August 23rd. 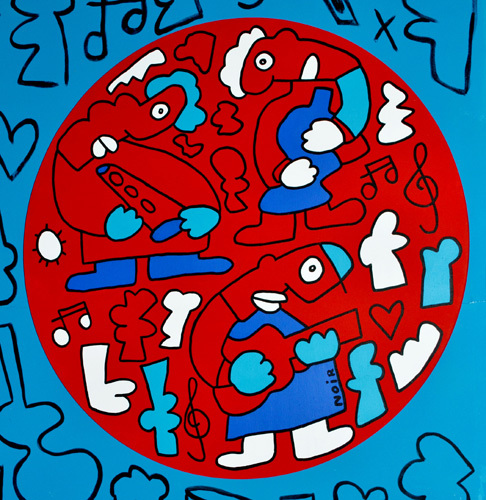 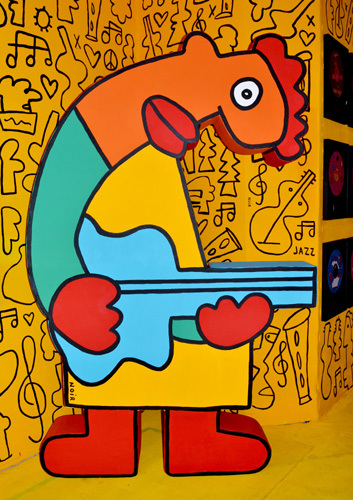 Thierry Noir moved from Lyon in France to West Berlin in 1982 attracted by its unique music scene. 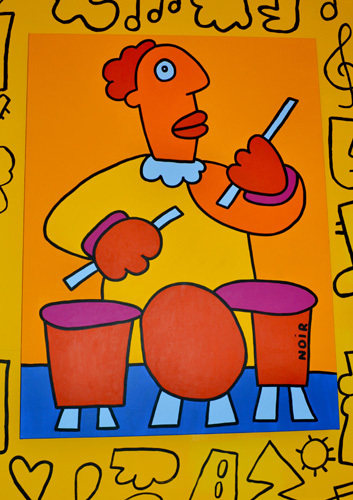 Whilst there, he became the first artist to paint on the Berlin Wall as a form of protest. 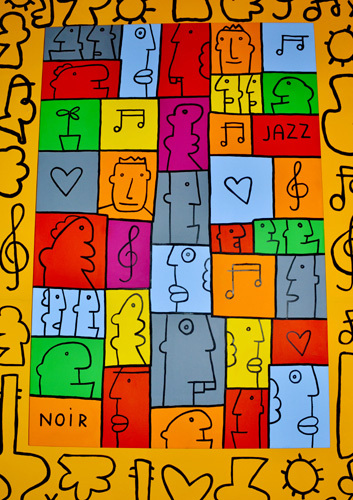 He is now an established artist and has painted his distinctive murals all over the world and his paintings hang in many art galleries around the globe. 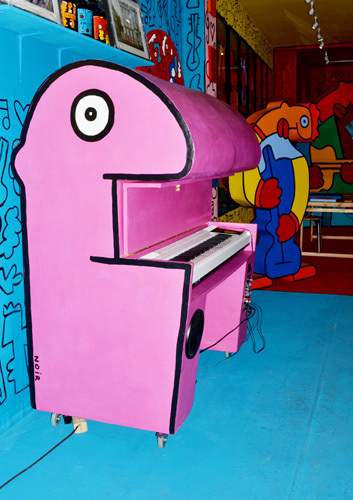 He also collaborated with film makers like Wim Wenders and bands like U2.